New Orleans Regional Black Chamber of Commerce Advocates for the USBC's Bank-Black Initiative. Kelisha Garrett is the Executive Director of the New Orleans Regional Black Chamber of Commerce which covers a 10 parish region in southern Louisiana. Kelisha is a staunch advocate of Bank-Black and supports the USBC's Bank-Black initiative to provide access to capital for Black entrepreneurs. Watch as she shares her thoughts on celebrating Black History Month through celebrating Black businesses. It is the number one reason that Black-owned businesses fail: Simply put - not enough money and not enough places to get it. 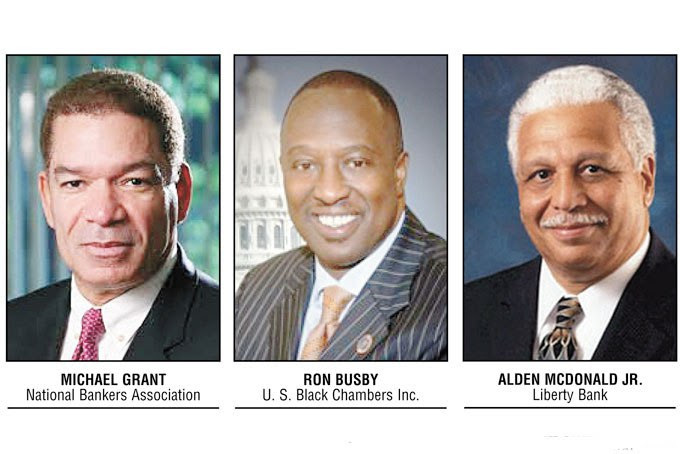 That's why as America commemorates Black History Month, the US BlackChamber Inc. (USBC), an association of more than 122 Black chambers and 265,000 business owners, is escalating publicity on its partnership with historic, Black-owned Liberty Bank. Both entities are determined to break economic barriers that have historically oppressed Black people. "Our history is full of trailblazers and pioneers that fought to build our community from the ground up. We owe it to them to sustain our community," says Ron Busby, USBC president/CEO. "The top three concerns facing Black entrepreneurs are access to capital, access to capital, and access to capital," Busby says. "As the voice of Black businessowners, our focus during Black History Month is to highlight the importance of economic sustainability in the Black community and the dire lack of funding facing Black businesses." The USBC has launched what it calls a "buy-Black, bank-Black initiative" as a solution to spur economic growth in the Black community. "Bank-Black is the single most powerful economic movement currently taking place in Black America," Busby says. "Now is the time to utilize our Black banks as more than a place to hold our money, but as a resource for securing capital." 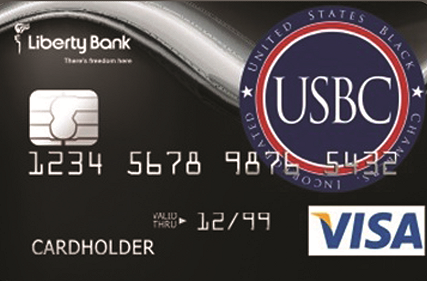 As a part of this initiative, a USBC Bank-Black Credit Card is being offered in partnership with New Orleans-based Liberty Bank, a historic institution and one of the leading banks of the National Bankers Association (NBA). "Through our relationship with Liberty Bank, we can now provide access of up to $10,000 with an unsecured line of credit at an annual percentage rate of 9.96 percent and with a credit score as low as 570. We think this is game-changing in that it now provides the needed resources for African-Americans to be able to move our communities to sustainability," Busby says. Black businesses have long suffered oppressive redlining by major national banks. Even the Small Business Administration has barely reached 3 percent in its loans to Black-owned businesses. The U.S. Census Bureau reported in 2014 that more than half of Black business owners do not apply for business loans when they need it because of fear of being turned down. According to a report by NewsOne Now, their "fear is justified" as "only 47 percent of Black business owners get the full amount they requested versus 76 percent of Whites." The Wall Street Journal reported last year that national banks tilting toward major mortgages "means fewer loans for Blacks, Hispanics." This leaves Black-owned community banks to do what they have historically done - serve the underserved. Despite the proven historic wrongs of government and corporate discrimination, NBA President Michael Grant says Black business owners must now find ways to rescue themselves. "When it comes to the burden of proof of who is ultimately responsible for the economic survival of the Black community in America, I'm arguing that the burden of proof has shifted to the Black community itself," Grant says. "It does not in any way remove the responsibility of government to be fair. It doesn't remove the responsibility of corporate America to be fair and to treat Black consumers and their businesses with equity. But the burden of proof of who is ultimately going to save the Black community, I am arguing that this must be the Black community." Grant continues, "Even if it means our advocacy, supporting our own businesses, going to our leadership asking, 'What are your plans for the economic survival of Black people in this country?' the burden of proof has shifted to us. And this credit card, in no small way, says that we are accepting the burden of proof. We're saying, 'Okay, if our businesses are having a difficult time in majority banks getting access to credit, what can the Black banks do about it? How can we accept that burden? How can we step up and revive access to credit?' That's what this has done." Despite negative stereotypes, Grant points to the education and professionalism of African-Americans in business and in banking as what enables them to create their own economic strategies for survival. For example, Liberty Bank President Alden J. McDonald, Jr., is the longest tenured African-American financial executive in the country. His nearly 45 years of experience in the banking industry was first established with his presidency of Liberty, which started with the bank's founding in 1972. The bank's website credits his "strategic vision and hard work" for the success of the bank. Assets have grown from $2 million in 1972 to more than $600 million currently. "Our relationship and our partnership with the US Black Chamber is a partnership that will make certain that available credit is based on a level playing field," says McDonald. "And one of the reasons why we feel the relationship with Liberty Bankis important is because Liberty Bank is very sensitive to the credit challenges of the community. And therefore, our underwriting standards are taken into consideration for the small business person." Grant stressed that Black-owned banks can strengthen the economy of the Blackcommunity while operating within a stringent regulatory environment. "Our banks, like any bank, have to adhere to the regulators. We can't get around that. What we can do is when you come to our banks, we can talk with you, we can take a little extra time with you. We can tell you where the flaws are in your business plan, we can tell you that if you don't qualify for credit, then here are the things that you can do so that you can become credit worthy. But, the bottom line is that the burden of proof has shifted to the Black community and its leaders and its organizations," he said. Ultimately, money in Black-owned banks is a win for everyone, Busby concludes. "We want African-Americans to have money in Black banks because we feel that Black banks historically provided the resources in Black communities. But, we're taking it a step further, understanding that banks truly make the largest profits by providing loans and receiving fees," he says. "And so we feel like this is a win, win, win. It's a win for the Black bank, which has additional capital to lend. It's a win for the individuals because they can now get capital at an affordable rate. And it's a win for the community because the banks can now make the loans that homeowners and business owners need. 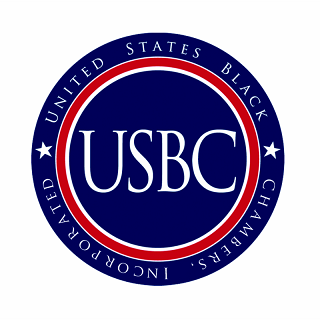 The USBC takes great pride in commemorating Black History Month with a tribute that honors Black history and anticipates an even greater Black future."